A central Florida man accused of fatally shooting a suspected burglar Thursday told police he acted in self-defense after he was attacked, according to police documents obtained by the Orlando Sentinel. The documents suggest the state’s controversial “Stand Your Ground” statue could become a factor in the case, reports the paper. “Stand Your Ground” allows residents to respond with deadly force if they perceive their life to be in danger, but has been blasted by critics as encouraging a “shoot first” mentality. The jury that ultimately acquitted neighborhood watch volunteer George Zimmerman in the controversial shooting death of unarmed teen Trayvon Martin was instructed to consider the statute as they deliberated Zimmerman’s fate. In this case. the alleged gunman, Claudius Smith, 33, is charged with second-degree murder in the death of 21-year-old Ricardo Sanes, reports My Fox Orlando. Smith was reportedly inside his single-family home in Orlando Thursday when his girlfriend noticed a man on surveillance video "walking around his yard," wearing dark clothing, and then climbing over a fence into a nearby apartment complex. According to the documents obtained by the Sentinel, Smith told police he had had recent problems with burglaries at his home and was “certain” the man seen on the surveillance video was responsible. Smith told police he jumped the fence into the apartment complex, armed with a handgun, and saw Sanes "looking into windows of apartments as he walked past them." Smith said he pulled out his gun and confronted Sanes, grabbing Sanes’ hooded sweatshirt and trying to force him back to his house so he could call the police, reports the paper. Smith said Sanes "punched him in the mouth and grabbed for his gun." Fearing Sanes was armed, Smith shot, reports the paper. Police did later find a handgun concealed in Sanes’ pants. However, investigators also reportedly discovered that Sanes was shot in the back, which could contradict Smith’s story. 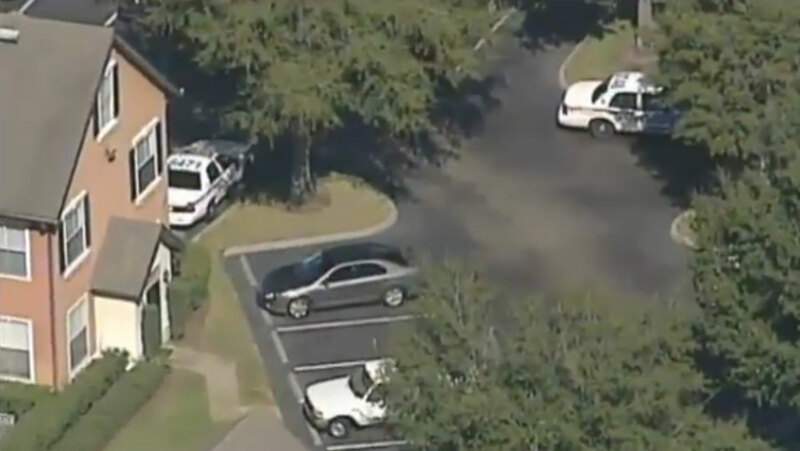 Smith was detained at a home about four miles away after a manhunt, reports My Fox Orlando. It’s not clear whether Smith will seek to use the “Stand Your Ground” statute in his defense.